If you're like me and you have back problems causing you to have trouble sleeping, then you might want to look into getting a good mattress. A good mattress will go a along way to giving you your eight hours of sleep that you need every night. 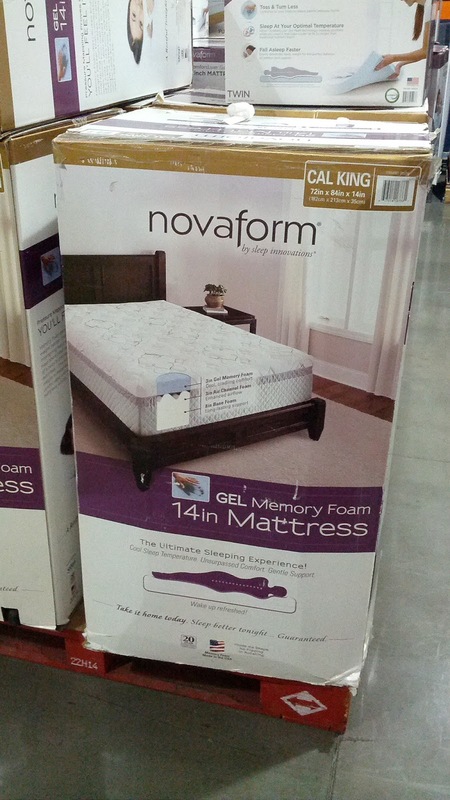 The Novaform gel memory foam mattress makes it like you're sleeping on a cloud. It helps it remember your body's form to help you get a good night's rest. The memory technology allows the layers of gel to hug you while u sleep and gives you much needed lumbar support to help your back. This versatile mattress fits beds that are king or California king sizes. If you like the quality of the Novaform Gel Mattress, then you may even want to check out the Novaform bath mats which are inexpensive and quite practical for all your bathrooms in your house. 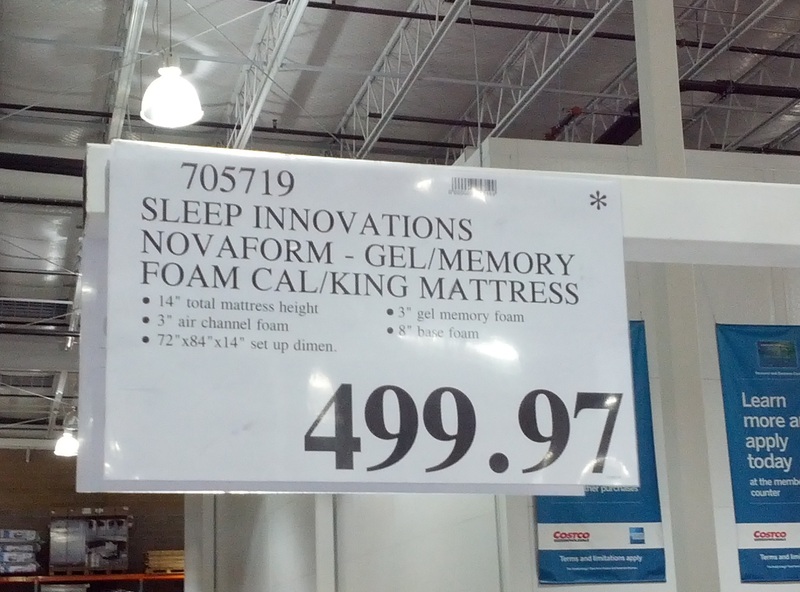 Gel Memory Foam Mattress for ultimate comfort and a good night's rest. 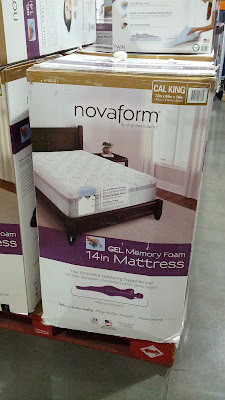 The Novaform Foam Mattress has layers of gel that help remember you and to take your body's form while you sleep. 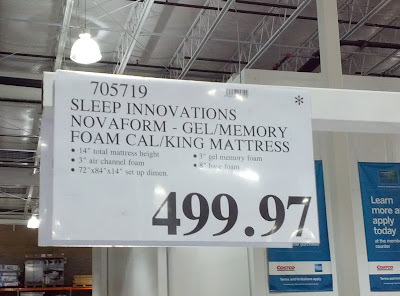 Deal at Costco for a high quality mattress for your bed. This luxurious 3-layer, 14 inch mattress offers the ultimate sleep experience. The plush top layer of memory foam infused with gel beads is a revolutionary advance in sleep technology for the perfect balance of comfort, support, and the optimal sleep temperature. Two additional layers complement the top layer to enhance airflow and provide long lasting support, helping you to sleep deeply and wake up feeling refreshed. 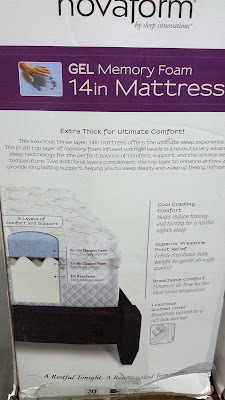 Extra Thick for Ultimate Comfort!